FYI… interesting that they used an SDR station to copy SAQ. Happy New Year from MRHS! Because of the partial shutdown of the Federal government we are obliged to suspend operations on Dec. 29. We apologize for any inconvenience. We hope that the watch might resume next Saturday. However, if the shutdown continues we will not be able to operate the facilities. As an occasional feature of these reports we have been offering the remembrances of Ray Smith, former Senior Morse Operator at KPH. Ray was at the key at KPH on the last day of operations from Point Reyes. He was also at the key in 2016 when the KPH license was made available to the MRHS and we became KPH once again on a regular basis (the former holder of the KPH license, Globe Wireless would allow the MRHS to us the KPH license on "Night of Nights" -- our annual major celebration). "Well then to continue; I was hired somewhat reluctantly (no coastal station experience and most important of all no "seagoing" experience other than riding on an MSTS transport out on the Pacific) but nevertheless was given the opportunity. As I recall it was during a time of "High" sunspot activity and Frank had been dying to get a man to guard the 22 MHZ band and as a supplement to that the 6 MHZ band so that was my initial assignment as the other operators struggled to keep up with the high volume of calls on the "workhorse" frequencies of 8 and 12 and 16 MHZ. The primary transmitters used back then were 17016, 13002, and 8618, with the other frequencies seldom or only occasionally used. One big drawback was the fact that 8618 and 13002 shared a common water cooled power supply. Cold seawater that is; pumped up from the nearby waters of the Pacific. Sometimes this presented an enormous problem as the compartment would be flooded while there was still high voltage present on the transmitters. (Due to the occasional rupture of the "plumbing or pipes" carrying the cold seawater through the cooling system). Requiring major repairs by an already overtaxed BL crew whose primary responsibility was keeping the Point to Point transmitters on the air -- KPH was a distant third. But eventually the job would get done after much cajoling from FG. Now for the story of the man himself. For this background information for Mr Geisel, we are deeply indebted to his daughters Gloria Campau Geisel, and Mary Geisel. Frank was born March 4, 1902, in Austria-Hungary. At the age of 4, he migrated with his family to Winnipeg Canada. In 1913, at age 11, the family moved to Watts, Calif. (then a small town). Frank attended grammar school at Watts, a 2 mile hike each way. Compton Union High School 1914-1915 (school then had 150 pupils). 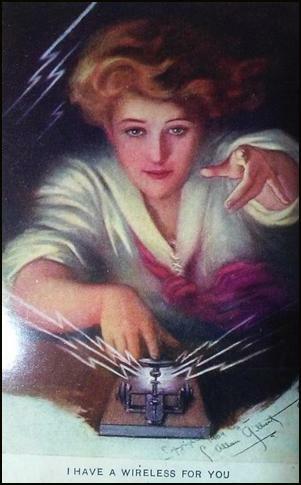 In 1915 at age 13 he began work as a messenger for Brock & Co., L.A. jewelers, Then as an electricians helper in 1917 for Vulcan Coil Co. (X-ray-equipment) . Followed in 1918-1919 by employment in the Southern Pacific Railroad, Los Angeles Division office, as a "handy-man" in SP Division headquarters telegraph & train dispatchers offices where he learned Morse Telegraphy. From 1916-1917 he attended Polytechnic High School L.A. night classes in electrical engineering. After becoming "hooked" on "wireless" in 1918, he dropped electrical engineering for night classes at the YMCA Radio School L.A. He obtained his first commercial radio license in Oct 1919, then issued by Dept. of Commerce, Bureau of Navigation, and held the First Class Radio Telegraph License. Jan 1920, at age 17, FG began working for RCA , who then assigned wireless operators to ships, and has been with RCA continuously since then. Six years at sea, the remainder at KPH except for a World War II interlude: Jan 1943-Aug 1945. Radiomarine Corp. service, as Radio Inspector at SF, much of that time in new ship construction at the various Kaiser shipyards in Richmond, CA. Ship service 1920-1926 on a variety of ships , 3 steam schooners of McCormick SS Co., one each of Matson and Pacific Coast SS Co., and 10 of Standard Oil of Calif., plus one trip on' Red Stack Salvage Tug. (More to come) 73 de RC"
FG was certainly a "wireless pioneer." 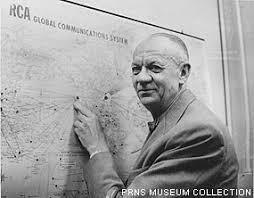 If you would like to learn more about his life we are able to offer to you, thanks to our colleagues at the California Historical Radio Society, the archival document of FG's application to become a Charter Member of the Society of Wireless Pioneers. Thanks CHRS! Click here to see this fascinating document! Tune in next week for our next exciting episode! 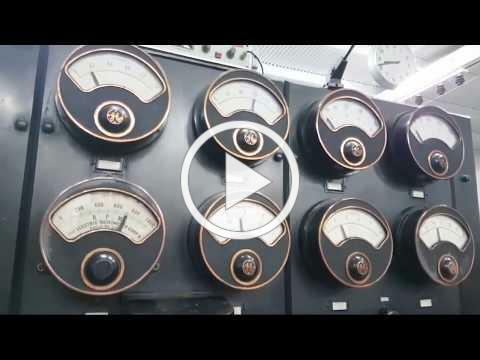 Once again, our colleagues at GRIMETON RADIO/SAQ made a Christmas Eve broadcast utilizing the 200kw Alexanderson Alternator. This year's streaming video was done with a mobile camera, as opposed to the fixed camera they have used in recent years. We are happy to offer their streaming video as the "Video of the Week"! It provides an excellent visual tour of the facility. In the streaming video, unfortunately, you cannot hear the broadcast. 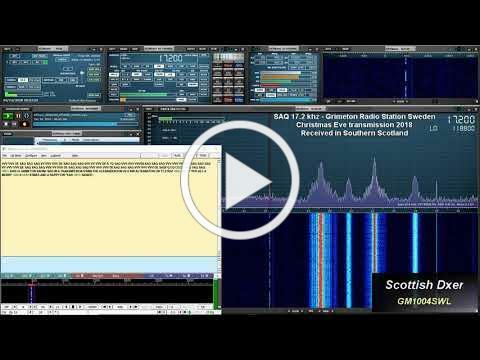 So, to hear what the signal sounded like on an SDR in Scotland, we offer this bonus video! If you were able to copy SAQ please drop us an email and tell us about what receiving equipment you were using and your results! We wish all True Believers everywhere, afloat and ashore, a very Happy New Year! It has been a year of ups and downs here at the MRHS and at KPH. The year began as it ended for the operations crew at KPH: "on the beach." We began the year off the air due to antenna maintenance issues, and we end the year "dark" because of the government shutdown. But, in between, we had a great year -- thanks to you, our dedicated True Believers! We returned to operations on March 17. We celebrated Night of Nights XIX on the traditional date of July 13 (GMT). And we saw the restoration and return to service of the mighty RCA R-3 Dual Diversity Point to Point receiver. Despite the challenges, it has been a great year! We look forward to a greater year in 2019! We have a number of exciting antenna maintenance projects in planning. And 2019 marks the 20th anniversary of the founding of the Maritime Radio Historical Society. So, we have a big year ahead! As the clock ticks away the year of 2018, there is still time to make an end of year gift to support the MRHS and to help ensure that 2019 is our best year ever! We are dependent on True Believers to help realize these efforts to continue to preserve, maintain, and interpret the technology, history, and culture of maritime radio at "The Wireless Giant of the Pacific." As always, many thanks in advance for your continued support! 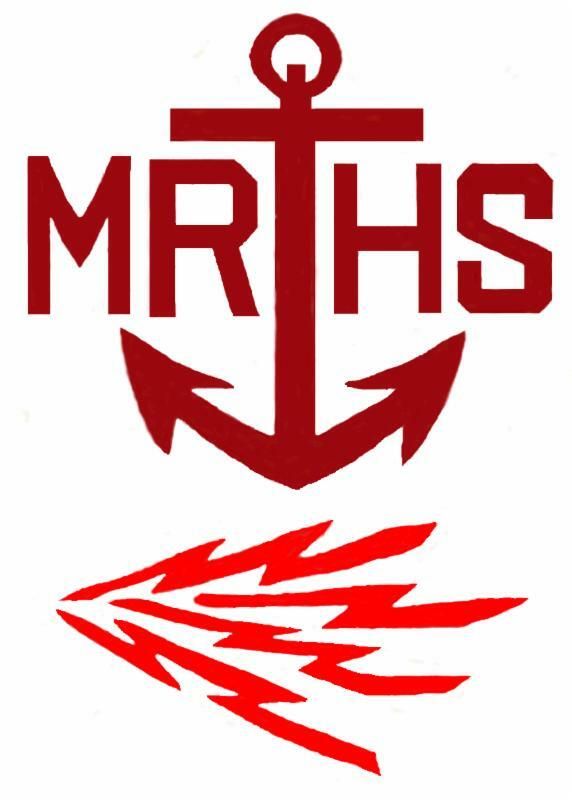 The MRHS is a registered 501(c)3 non-profit organization, so your gifts are tax deductible. Our Tax ID Number is: 20-1122405. And don't miss our fabulous MRHS Swag store. Your purchases also provide some much needed income to the MRHS. 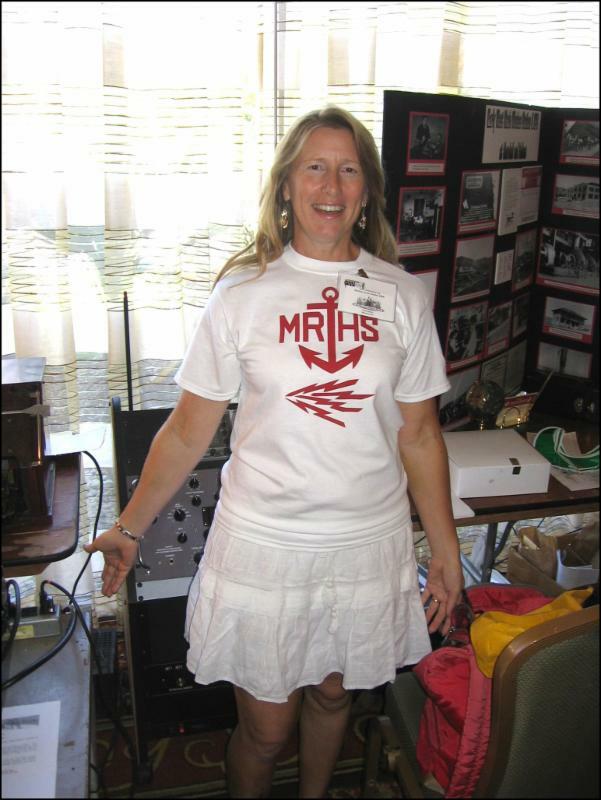 To access these treasures, click on the picture of our lovely MRHS Model, Tina Shinn/TS, below! We hope we are off "the beach" next week! If so, please join us by wireless. If you cannot be with us in person or via radio, we will keep you posted on what you missed. Until then, "Fair Winds and Following Seas!" Thanks, in advance, for your continued support! We are committed to using your gifts responsibly to help preserve our maritime and communications heritage!